The baby plan consists of four separate sessions with your child over a period of time. Traditionally we do four sessions during your child's first year. We recommend a cradle session, a tummy session, a sitting-up session and finally a standing session You pay $200 for sessions one and two and only $100 for sessions three and four. 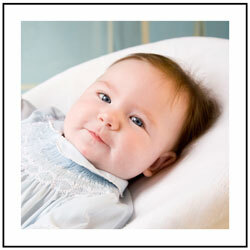 We offer a complementary mother child portrait in session two, with one set-up of your choice. Session four includes one complementary family set-up of your choice.